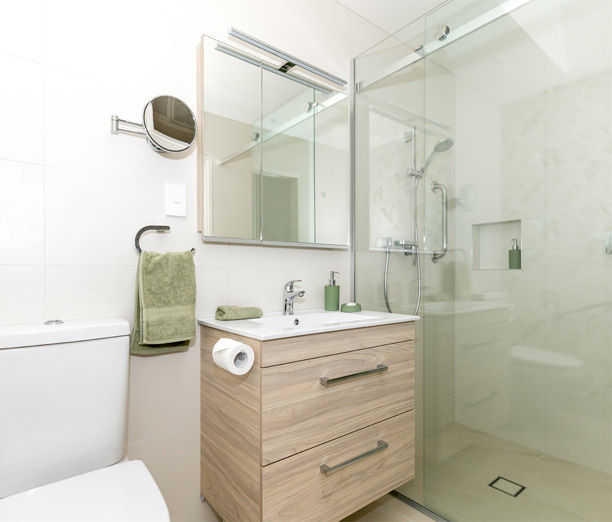 Are you looking to completely renovate your existing Hamilton bathroom? I’m Arran Axtell, owner of Bathroom Transformations. 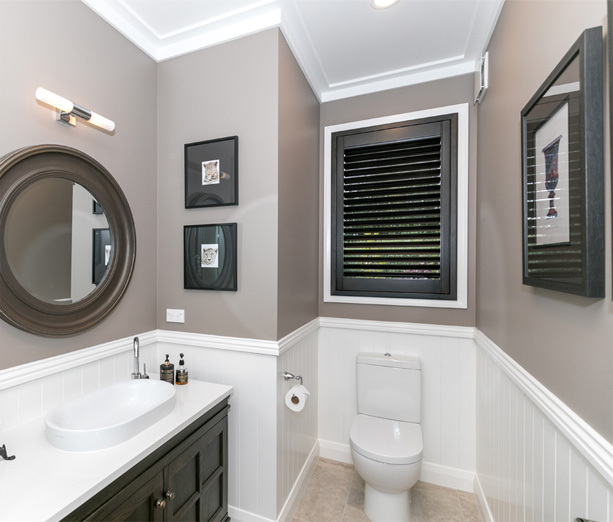 I’m committed to making the process of renovating your bathroom as easy as possible, by providing expert management of your entire bathroom renovation, from beginning to end. 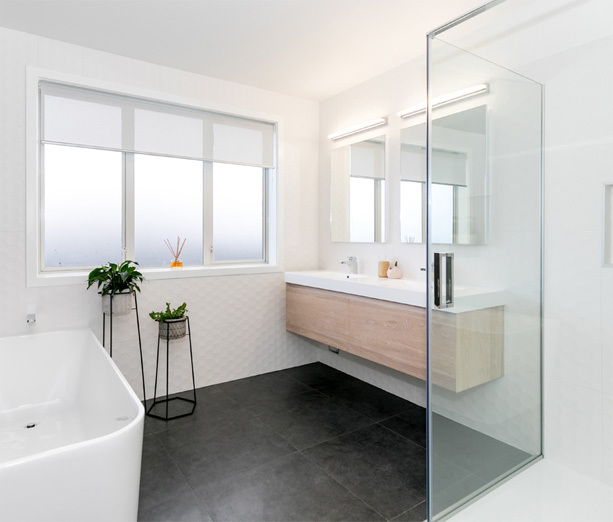 Bathroom Transformations specialises in bathroom renovations in Hamilton and surrounding areas, with our team of highly skilled tradespeople. We’ll take the pressure off, guiding you through everything you need to know, from design to completion, so you can relax and enjoy the bathroom of your dreams. “We used Bathroom Transformations last year while we were out of the country for 6 weeks. Arran project managed everything and kept in contact with me by sending photos to let me see the progress. The whole project was completely stress free and seamless, it did not go over budget or the agreed timeframe. With planning, combined with our expert knowledge and a team of highly skilled tradespeople, we can turn your old bathroom into one which perfectly suits your needs and tastes. 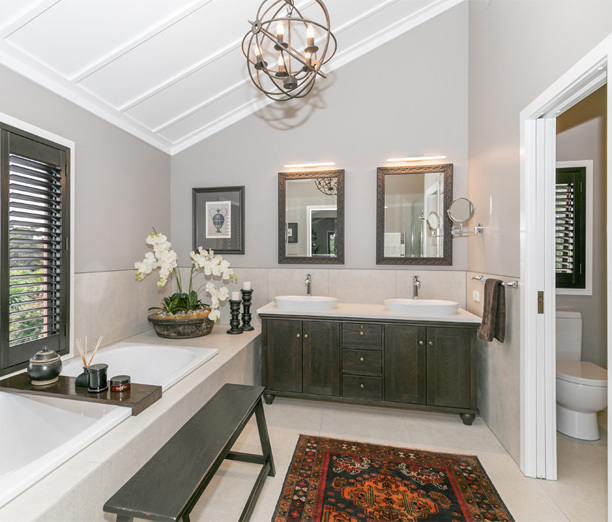 Whether you’re looking for inspirational bathroom remodelling ideas or bathroom pictures to get you excited about the possibilities, browse through our inspiring portfolio of master bathrooms, guest bathrooms, ensuites and even laundry rooms that are proudly owned by our satisfied customers. We don’t cut corners and we’ll give you honest advice about the impact of your choices. Our renovations are of very high quality, with custom designs to suit all your requirements for storage, lighting, heating and decor. All renovation and installation services are completed by a tight-knit team of highly skilled and experienced tradespeople. 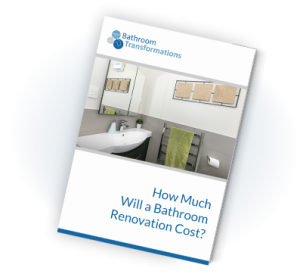 How much will a bathroom renovation cost? Bathroom renovations vary in price (from $12K to $20K or more) based on your requirements and the design choices that you make. 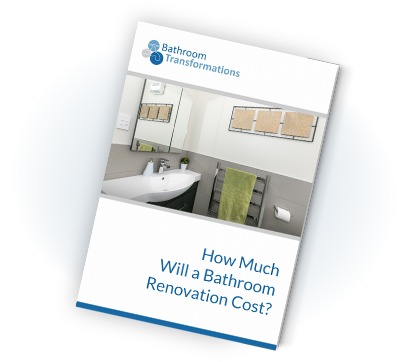 Download our free pricing guide to see how much your bathroom renovation might cost. We know that a bathroom is a very personal space that can serve many functions for a household. Importantly though, we also recognise that when we visit to undertake our work we are coming into your home. Accordingly, we will treat you and your property with respect and care: just what we expect from visitors for our own homes and families. Our team at Bathroom Transformations consists of a trusted crew of skilled tradespeople who are well-organised and pleasant to deal with. Our commitment to you is to provide you with the bathroom you want, within the expected timeframe, using straightforward, clear communication and keeping you fully informed every step of the way. 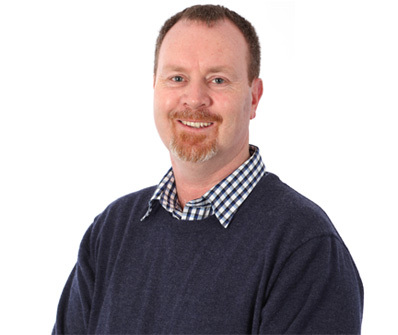 Arran Axtell, owner of Bathroom Transformations, personally oversees every renovation project. Arran will spend as much time with you as you need, planning your bathroom and going over the details before the work begins, then communicating with you regularly throughout the process. We receive great feedback from clients reflecting the value and comfort of having one-on-one, personalised advice from the owner of the business. Renovating your bathroom can be both exciting and daunting. A full bathroom renovation might include a toilet, shower, vanity, lights, mirrors, cabinets, towel rails, a ventilation fan, as well as plastering, painting, tiling or wallpaper! There could also be some construction or repair work involved as well as electrical work. On top of that, someone needs to make sure everything is organised within schedule. If you had to organise all that yourself, you could end up in a pickle. At Bathroom Transformations, we take care of everything for you, from design to execution. 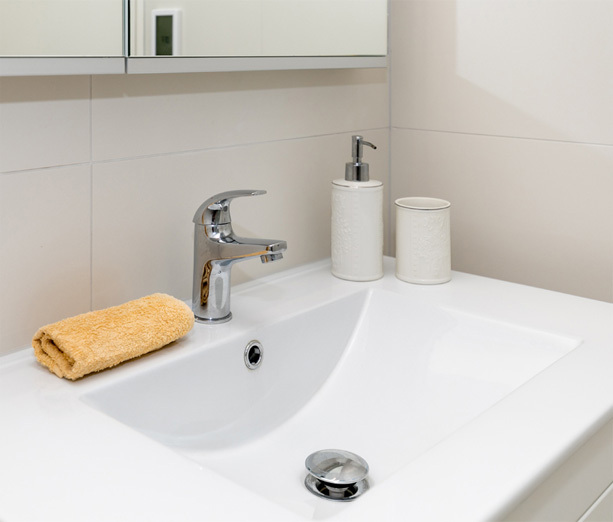 The average New Zealand bathroom is renovated every 20 years so it’s worth doing it right! A well-planned and executed bathroom renovation will enrich your lifestyle and add value to your home. Whatever your requirements, our aim is to redesign and install the right bathroom for you, meeting your specific needs. We want your bathroom to contain features and characteristics that you will love and appreciate well into the future. We aim to make it as easy as possible for you to have a beautiful and functional bathroom, by walking you through each step of the renovation. Our turn-key approach means you can leave everything up to us, enabling you to carry on with your life while we handle the renovation of your bathroom.